Victoria Falls. Twenty national parks. Thirty-four game reserves. Some of the best wildlife-viewing opportunities in Africa. Are you ready to go to Zambia yet? It’s not surprising that Zambia is one of Africa’s hottest destinations right now. People are flocking to the landlocked Southern African country to search for the big five, visit one of the seven wonders of the world, and stay at luxurious camps. Many set their sights on Kafue, South Luangwa, or Lower Zambezi National Parks. You’re heading in a different direction. 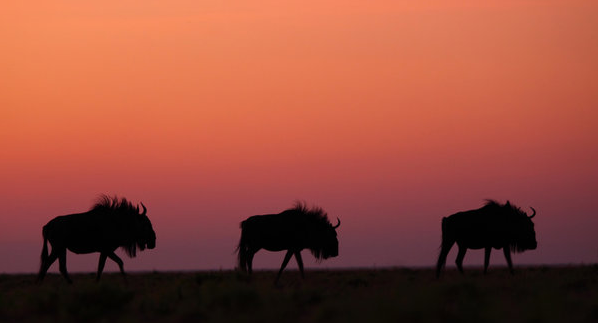 Liuwa Plain National Park is remote and rarely visited. The country’s westernmost park is bounded by the Lambimba and Luanginga Rivers near the border of Angola. King Lewanika of the Lozi tribe created the game reserve around grassy floodplains in the late-19th century. It eventually became a national park in 1972. To this day, it remains largely unexplored. So why Liuwa Plain? It’s home to Africa’s second-largest wildebeest migration (after the Serengeti’s, of course), a growing cheetah population, and a famed lion pride. Its first permanent lodge was recently built, as well. King Lewanika Lodge opened last spring at the end of the wet season. The modern lodge is stunning. Its open-air buildings are made of steel, canvas, and thatch. Their decks overlook the plains. Their roofs collect rainwater. Their power comes from the sun. Six villas house no more than 15 people at one time. With canvas walls and outdoor showers, you’ll never feel far from nature or its sounds. Nightly campfires make you feel even closer. After closing for the cool, dry winter, the lodge is about to reopen with the arrival of the emerald season. Baby red lechwes, roan antelopes, and tsessebes are testing out their wobbly legs. Bustards, geese, and storks are congregating along the swollen rivers before migrating north. Millions of fruit bats are emerging from their roosts at dawn each day. Plus blue wildebeests and Grant’s zebras are returning in huge numbers to graze on the new grass. 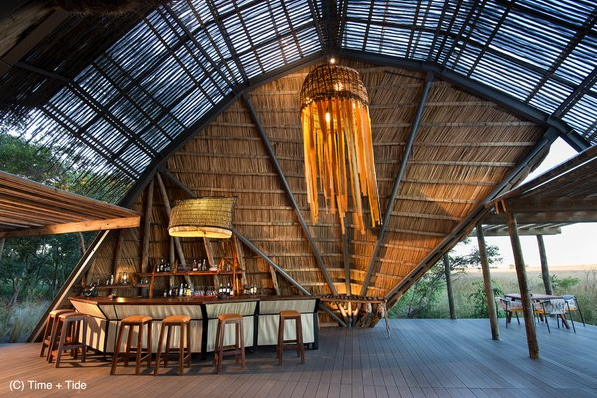 It’s the best time of year to visit the lodge, Liuwa Plain, and Zambia.